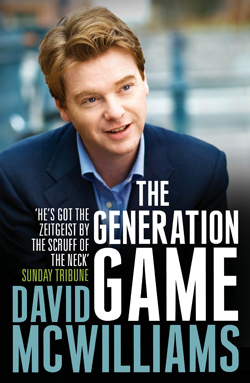 David has written four bestsellers and one of these -The Pope’s Children – is the best selling nonfiction ever published in Ireland. He is currently working on a new book and hopes to publish in late 2018. Funny, irreverent, bitingly accurate and even-handed. The definitive description of the Ireland we live in. Read it and weep. The Good Room provides a new way of looking at the economy because it is written through the eyes of a pregnant 32 years old teacher, Olivia Vickers. Olivia is the amalgamation of more than a few people I have met over the years who find themselves trapped between negative equity, a huge mortgage and negative equity. She is your sister, your daughter, your wife or your girlfriend. Hers is the story of a generation, and more than anything else reinforces the point that economics is not about reams of figures such as GDP, inflation, or the current account, but it is the business of real people’s lives’. In terms of economic policy, conventional wisdom and how it will change in the years ahead in Ireland, the central message of the book is that conventional wisdom — such as that followed and endorsed by the Irish establishment at the moment — is never defeated by some great countervailing idea which persuades the elite to change direct. Conventional wisdom is blown away by the great march of events. And the great big events are only the agglomeration of thousands of small events happening everyday, in every town and village all over the country in ordinary people’s lives — people like Olivia Vickers. Ireland is deeply in debt, beholden to the IMF, the EU and the bond markets. Its economy is frozen, and years of austerity are ahead. It didn’t have to be this way – and it doesn’t have to be this way. 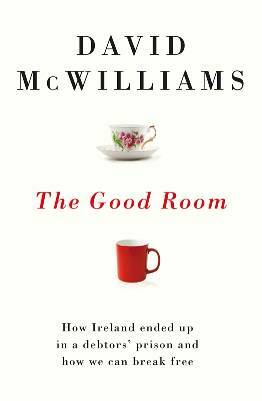 In The Good Room, David McWilliams, who wrote about the dangers of the Irish property bubble and imbalances within the eurozone at a time when other commentators were saying everything was fine, explains the bizarre economics behind Ireland’s current predicament, and illuminates a radically different path for the country. He illustrates the consequences of debt and austerity for ordinary Irish people and explains why austerity can’t work. And he shows that history offers numerous useful models for Irish recovery – provided we open our eyes to them. The Pope’s Children was the book that connected the dots between economics and daily life in Ireland during the boom years. The Good Room does the same for the Ireland of the bust, and is – in its call for a completely different approach – an even more urgent and necessary work. McWilliams has got the zeitgeist in his back pocket. A brilliant guide for the layman…a deft dissection social mores. It is all great fun and you are bound to recognise yourself somewhere in there. We catch up with old friends, Breakfast Roll Man and Miss Pencil Skirt, and meet new characters like the Merchant of Ennis, Shylock and the Godfather. We have late night tea with Brian Lenihan and cross swords with Seanie Fitzpatrick. We learn why the average drug dealer on the side of the street has more in common with the banker than either would care to mention, as we follow the money o in both rackets o from its source at the very top right down to the ‘buy now, pay later’ deals at rock bottom. Why should we trust the people who got us into this mess in the first place? They were wrong then and they are wrong now. The politicians, bankers and developers think they can hand us the bill and walk away from the carnage. They want us follow a route that will make things worse for the ordinary man on the street while saving the bankers at the top of the tree, insisting that there is no other way. But there is an obvious alternative which has been adopted by every economy that has successfully emerged from this type of crisis. 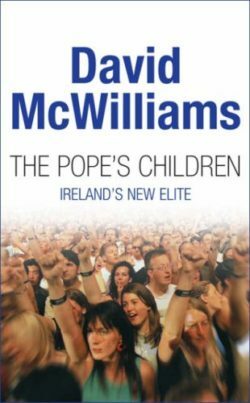 With the same sense of fun as The Pope’s Children, David McWilliams makes answering hard questions easy. In his typical breezy style, he suggests where to go from here. To be led up the garden path once in the past ten years is a tragedy; to be led up twice by the same people is unforgiveable. There is an alternative. 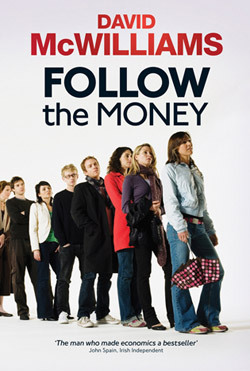 Follow the Money is an optimistic and uplifting book about that alternative, which is well within our grasp if only we’d wake up and seize it. A brilliant guide for the layman. A deft dissection of social mores. It is all great fun and , you’ll probably recognise yourself somewhere in there. The most definitive guide of Ireland today. Read it and weep. It is bright, pacey clever and entertaining and full of attitude, not unlike the people it surveys. McWilliams makes a compelling argument for the need for a different approach to Irish and European economic management. Hello boys. And girls. Meet the Pope’s Children, the products of the Wonderbra effect in Irish life. Meet the new Irish generation, born either side of the Pope’s visit, who have been squeezed into the middle and lifted up by the Celtic Tiger. Meet the huge new Irish middle class: young, sassy and successful. The Pope’s Children is an antidote to the endless pessimism of the Commentariat, official Ireland’s gloomy opinion mongers, forever seeing a glass half empty that is in fact three-quarters full. There is a vast surge of ambition, new money, optimism and hope out there. That’s the real story: The Pope’s Children tells it – and tells it with style.